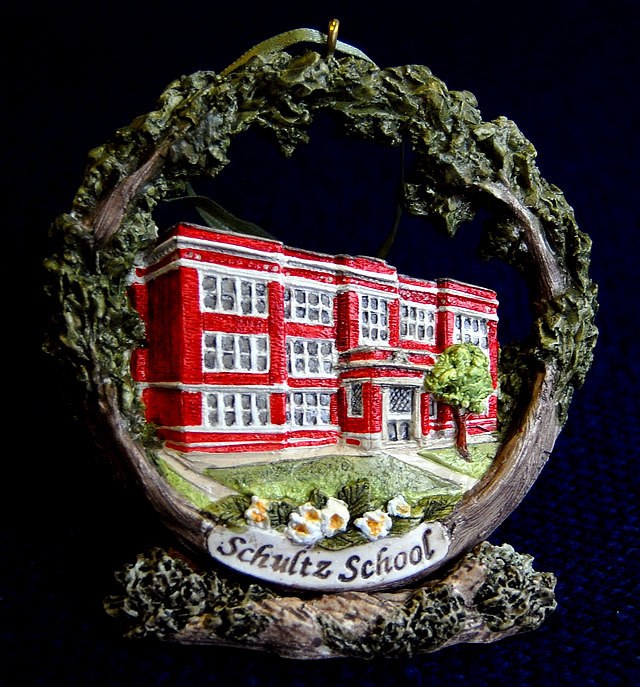 This year’s ornament depicts Schultz School, the old high school on Pacific that has been turned into Schultz Senior Apartments. 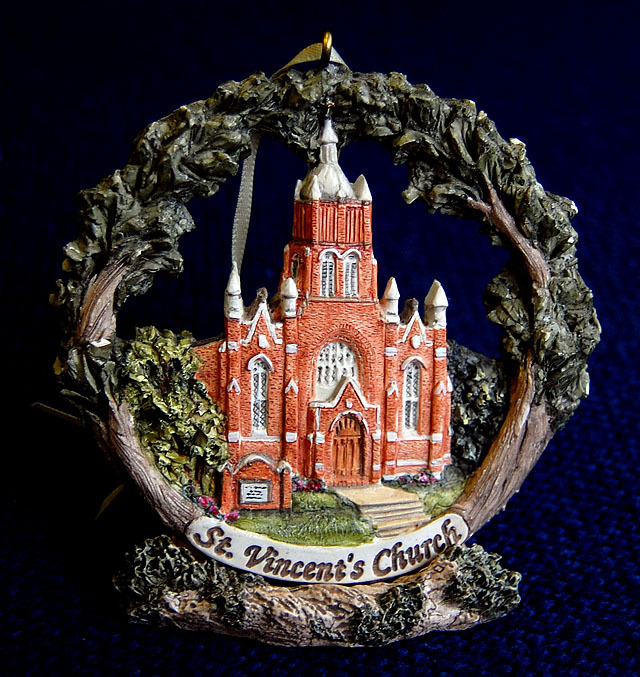 The ornament sells for $30 with a display stand like the one pictured or for $25 without the stand (not including shipping). 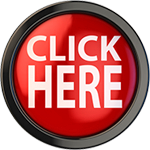 This link will take you to an order form. 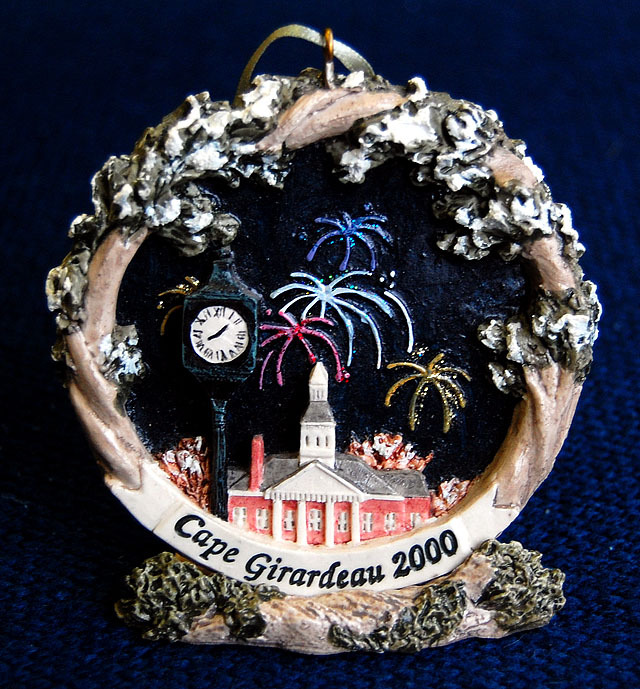 If you have any questions, you can call Old Town Cape at 573-334-8085 or email them at info@oldtowncape.org . Here is the Old Town Cape website. 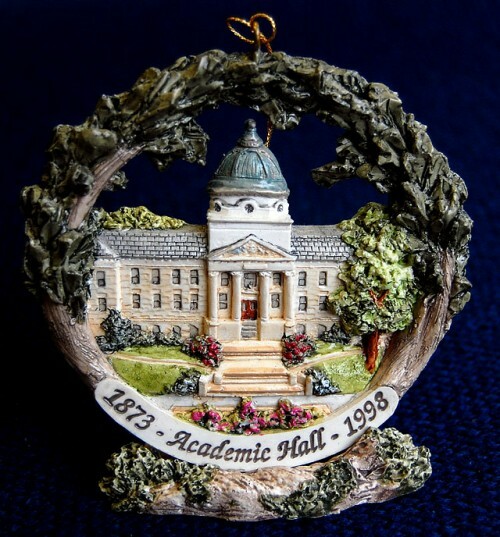 If you decide to buy an ornament, let my OTC friends know you heard about them here. 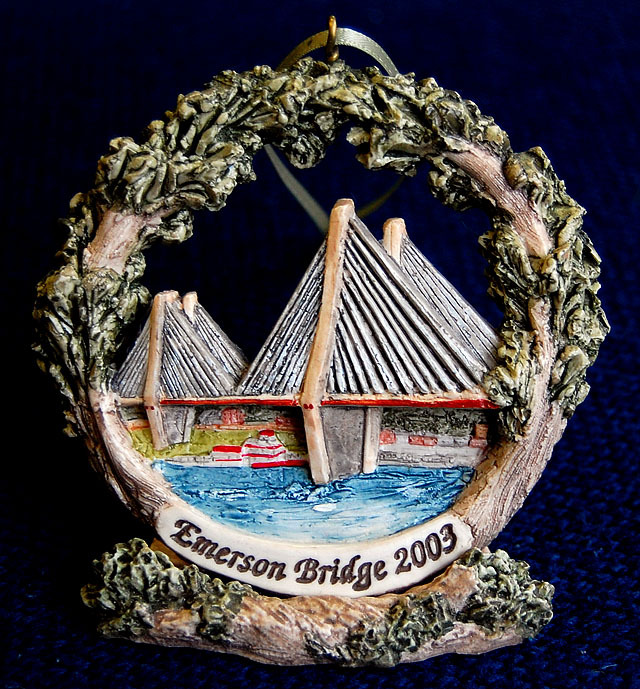 Toni said that each ornament is hand-crafted and painted by Hestia Creations in Massachusetts, so no two ornaments are exactly alike. 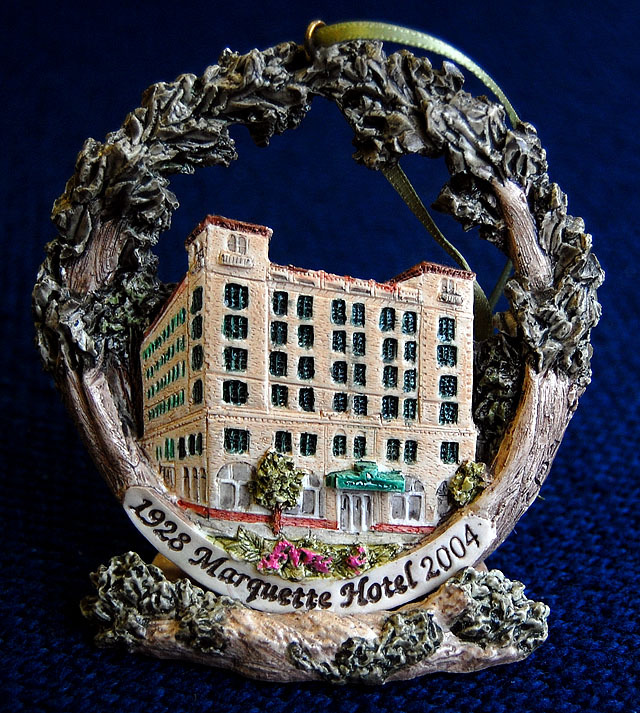 About 400 to 500 ornaments a year are ordered. It’s turned into one of the most popular and largest fundraisers for the organization. It’s a good fit. 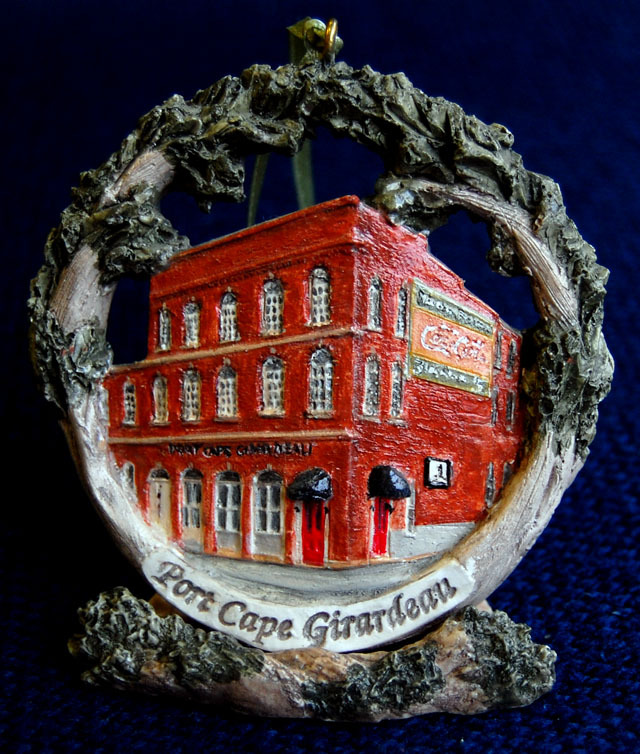 The ornaments recognize and promote landmark buildings in Cape; Old Town Cape’s goal is to revitalize the downtown area. 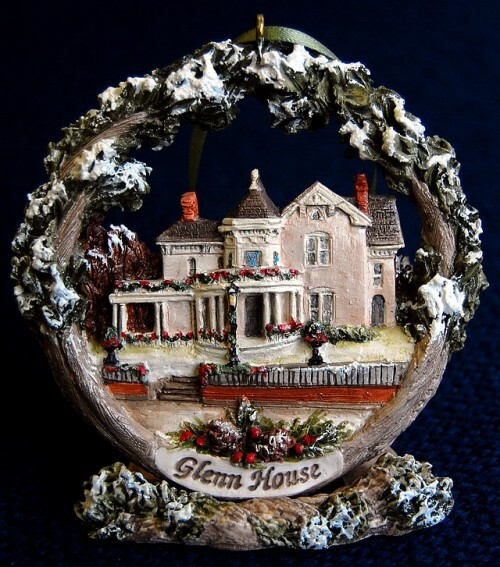 Some of the ornaments in the photo gallery have been sold out, so don’t wait too long to place your order. 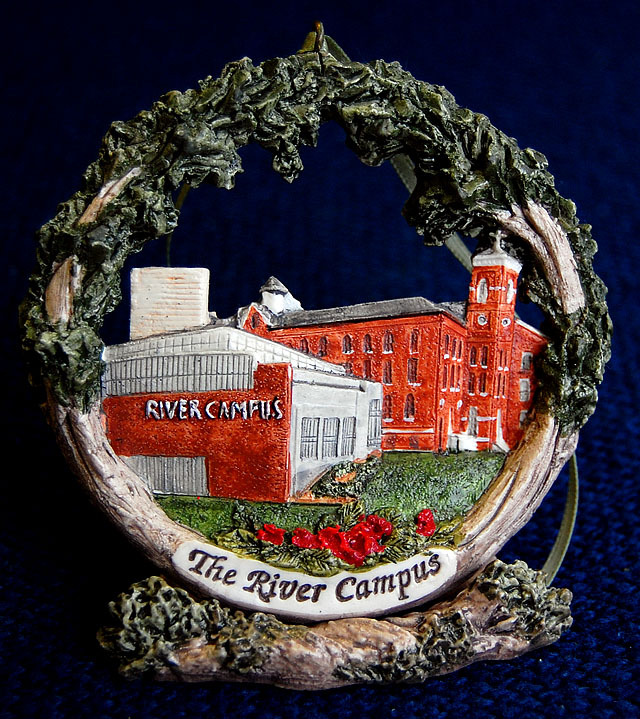 The ornaments that aren’t available as of this writing are 1997 Clock and Courthouse, 1998 Academic Hall, 1999 Old Mississippi River Bridge, 2003 Emerson Bridge and 2005 Southeast Missourian Building. Ah, Schultz School. One of the best parts about going there was the semi-annual fire drill. Getting to go down the slide out of the auditorium was as good as a day at an amusement park, and the lucky student who got to go first and kick the door open was the king/queen for the day. A PDF order form? Do I get to mail or fax it back, too?!?! That is as totally retro as the school. 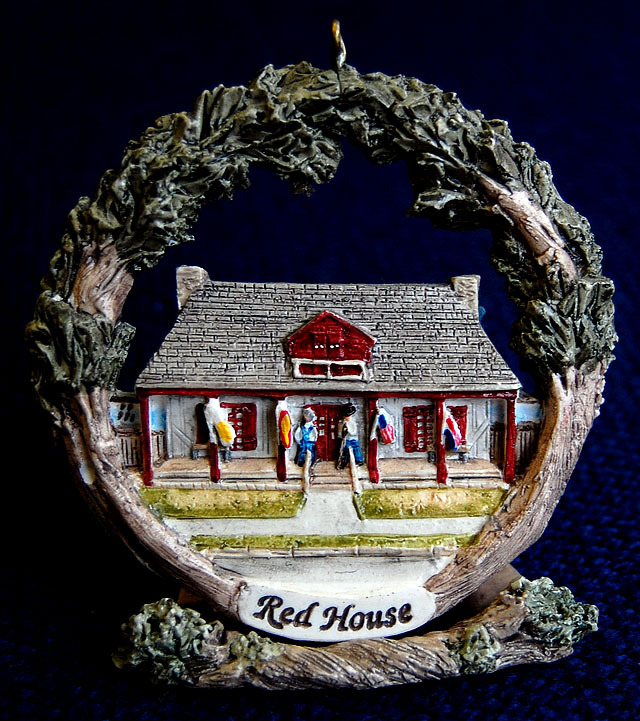 I bet they could sell a lot more ornaments if they would allow online ordering. I remember having a 7th grade art project (1967) with Mr. Brooks drawing the school. It was a great excuse to have class outside and I really did learn to draw perspective! 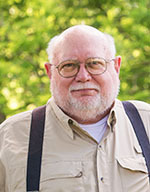 He was a very cool teacher. The fire escape tube brought back memories of an actual fire at the school in ’57 or 58′ when I was in “Jr.High”, and I wonder if anyone else remembers it. We were sitting in either a class or the library and saw smoking drape-like material being dropped past the rear windows. Incredibly, every one inside was then herded down to the gym to wait out the event. Without ever hearing sirens or alarms, we later learned the fire department had been there all along and were dealing with the fire on the upper floor. Ken, you need to impress upon Toni that they are missing a tremendous opportunity by not offering the ornaments for pre-order online, then determining the quantity to have produced. RE: Schultz School. Those of use that went to Hawthorn (Clippard) School the first year it opened got a double-dip of Schultz School; Hawthorn’s classes were conducted at Schultz School the first few months of the 1965-66 school year until Hawthorn was completed, then we attended Schultz School in our 7th grade year. 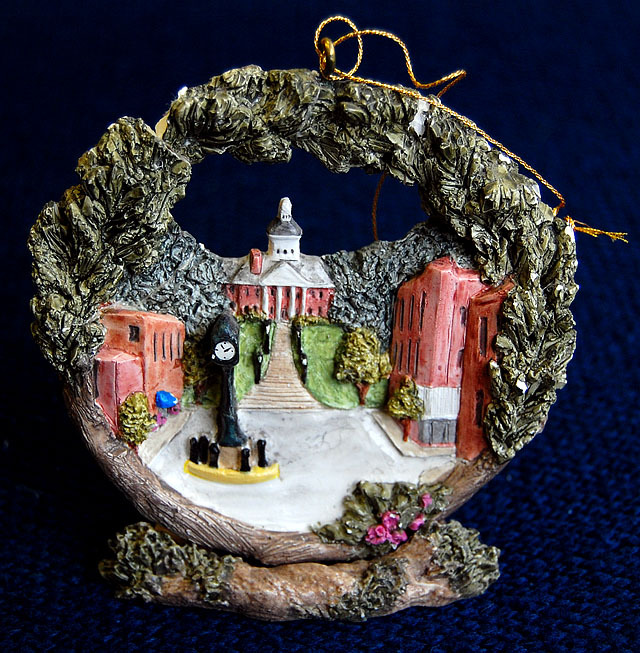 I wish they’d made an ornament for the “Old May Greene School.” Ah, well. 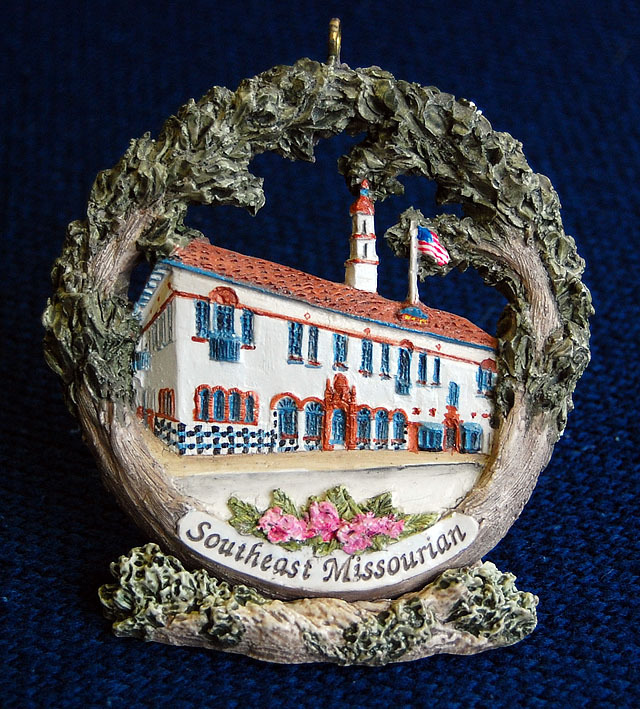 I can’t make you an ornament, but I can point you to some photos of the old May Greene School. 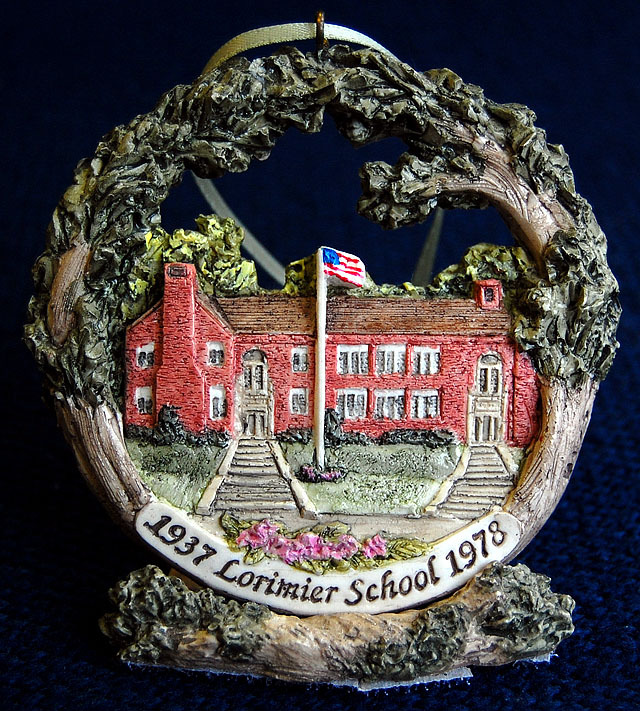 This one deals with the history of the school and photos from the ground. This one shows it and the Fort D neighborhood from the air. I went to CHS there. I graduated in January’ 1948. I enjoyed my classmates as well as the torture of practicing football with Lou Muegge behind the school. My husband buys me one every year usually for our anniversary since it is Nov 26th. Your pictures of them are more colorful than they are in real life!! I’m kinda like that, too: much more colorful on my blog than in real life.